Allan J. Stitt is the President and Chief Executive Officer of ADR Chambers and the Stitt Feld Handy Group. ADR Chambers is the largest, private alternative dispute resolution service provider in the world and has administered over 55,000 mediations and arbitrations since 2012. The Stitt Feld Handy Group, the ADR training division of ADR Chambers, has trained over 40,000 people world-wide in alternative dispute resolution skills since its inception in 1994. Allan is a Toronto-based mediator, arbitrator, negotiation consultant, facilitator, trainer, and Alternative Dispute Resolution (ADR) systems design specialist. Allan is both a Chartered Mediator (C.Med.) and a Chartered Arbitrator (C.Arb.). He has mediated two-party and multi-party disputes in numerous contexts, including commercial, employment, corporate governance, workplace, banking, personal injury, sports, entertainment and breach of contract. 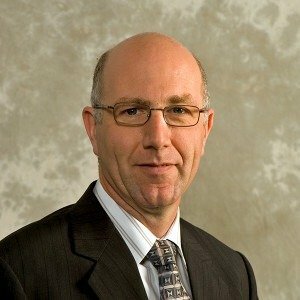 He has arbitrated numerous commercial cases including cases for the National Transportation Agency and the Ontario Farm Products Marketing Board and is on the International Panel of Arbitrators for the International Centre for Dispute Resolution (ICDR). He has designed ADR systems for such organizations as the Canadian Bankers Association, the Law Society of Ontario, and Canadian Tire Corporation. His books, ADR For Organizations, and Mediating Commercial Disputes, were both business books bestsellers. He also wrote Mediation: A Practical Guide and is the Editor-in-Chief of the LexisNexis ADR Practice Manual. He was an Adjunct Professor at the University of Toronto Law School between 1992 and 2018, and has been a Lecturer at the University of Windsor Law School, the University of Notre Dame Law School, the University of Lisbon (Portugal), and the University of the Philippines. He has taught ADR and Negotiation courses throughout North America and also in South America, Europe, Asia, Africa and Australia. After earning his B.Comm at the University of Toronto, Allan earned his LL.B.  at the University of Windsor Faculty of Law and his J.D. at the University of Detroit Law School, graduating first in his class in both law schools. He then earned his LL.M. degree at Harvard Law School. He returned to Harvard on a number of occasions to act as a Teaching Assistant to Professor Roger Fisher. Allan is the Past President of the ADR Institute of Canada, the Arbitration and Mediation Institute of Canada, and the Sport Dispute Resolution Centre of Canada. He is an International Mediation Institute Certified Mediator, a Distinguished Fellow of the International Academy of Mediators, an arbitrator and mediator for the Sport Dispute Resolution Centre of Canada, an arbitrator and mediator for the Court of Arbitration for Sport (Lausanne, Switzerland), an arbitrator on the Canadian Transportation Agency List of Arbitrators, a member of the International Panel of Mediators with the Singapore Mediation Centre and the Japan International Mediation Centre, Kyoto, and is on the International Panel of Arbitrators for the International Centre for Dispute Resolution. He is also Senior Advisor to the Jerusalem Arbitration Centre, an ADR organization specializing in mediating and arbitrating disputes between Israeli and Palestinian businesses and is a Canadian advisor at the UNCITRAL Working Group on the enforcement of international mediation agreements, appointed by the Department of Justice. Allan has received the University of Windsor Faculty of Law Alumni Award of Excellence and has been awarded the Ontario Bar Association Award of Excellence in Alternative Dispute Resolution. Allan is listed in The International Who’s Who of Commercial Mediation, The Best Lawyers in Canada in ADR and Who’s Who Legal: Mediation.